Donna coordinated this guide to her adopted hometown, writing fresh front matter on the city’s history, thriving cultural scene and sporting life. 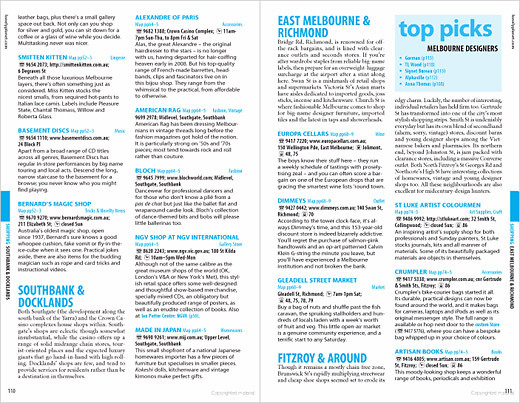 She also updated the destination chapter for Melbourne city and suburbs and all practical details. 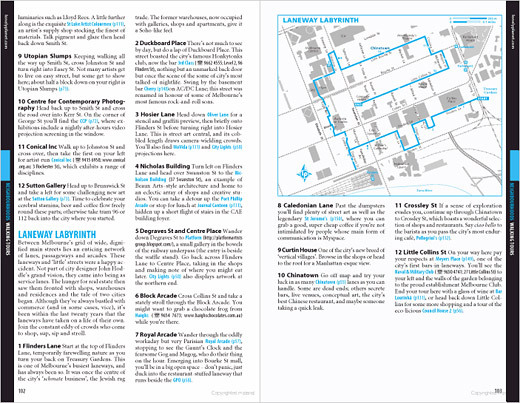 She gets under the city’s skin with detailed information on its history, sporting life and thriving cultural scene. Given Melbourne’s reputation as Australia’s premier food and wine city and its vibrant fashion, design and retail industry, she highlights the city’s restaurants, bars and shops along with its interesting cultural institutions and historical sights.